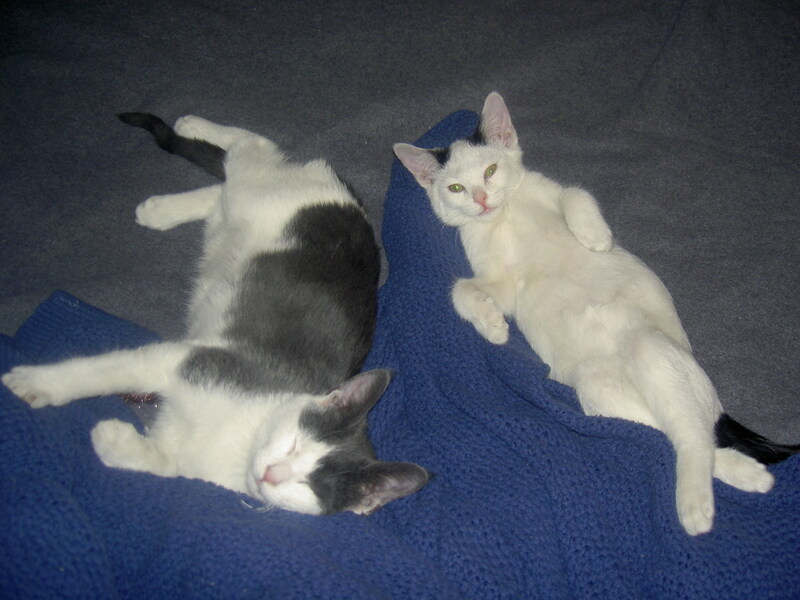 Timmy and Milo: rescued last winter from the Fantastic– did I say Fantastic?– San Gabriel Valley Humane Society. 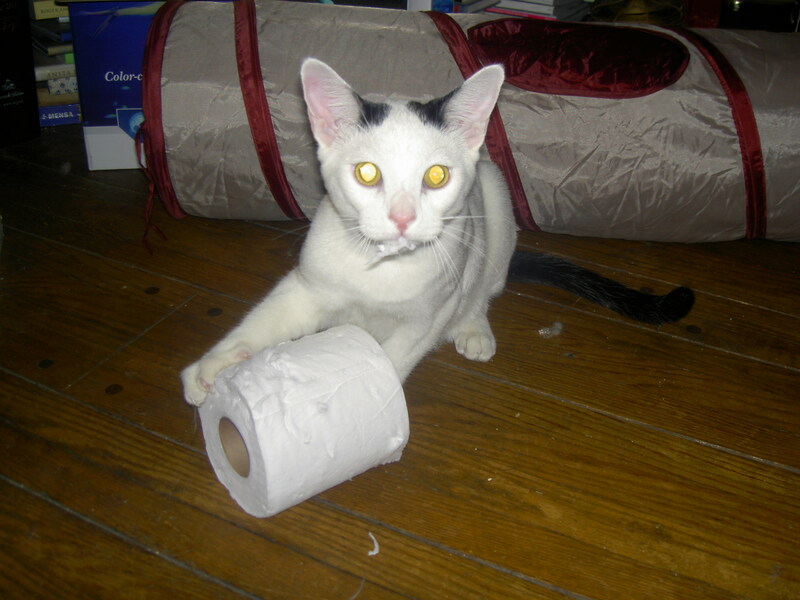 Oh, and let us not forget, the toilet paper parade wherein Milo steals the paper off of the roller thinger and proceeds to march proudly around the house, head thrown back regally, with lil Timmy hot on his heels, in complete awe at how goddamn badass his brother is. 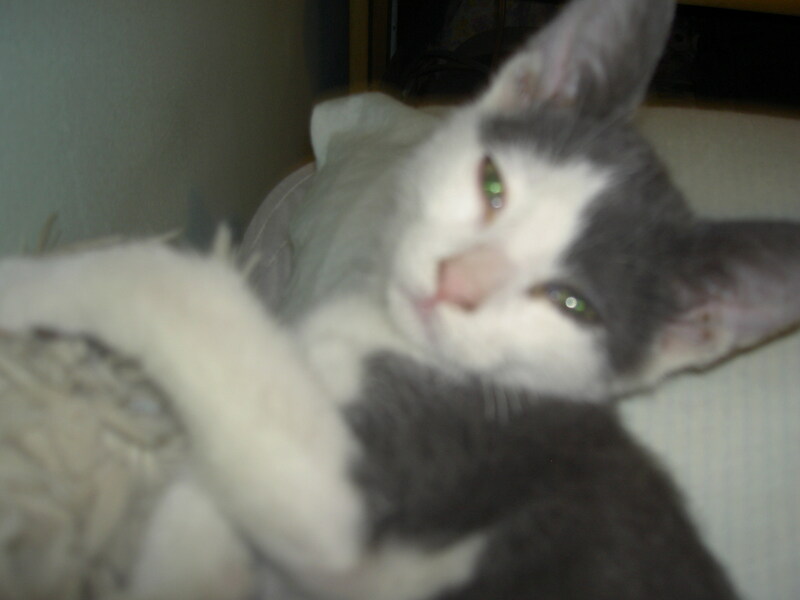 This entry was posted on	June 5, 2008 at 11:17 pm	and is filed under Uncategorized.